Names like ATVI GLUU (which had been acting brilliantly for months on end) EA GME TTWO are all either getting pummeled this morning or, ion the case of GME, have been in a bad technical spot for a while now. Needless to say, the "gamers" space is clearly not on the level of enterprise software in terms of technical health and prospects for imminent market leadership. However, Sea Limited, out of Singapore, may be a notable exception. On the SE daily chart, updated below, we can see the stock holding up very well this morning in the face of peers taking a shellacking. 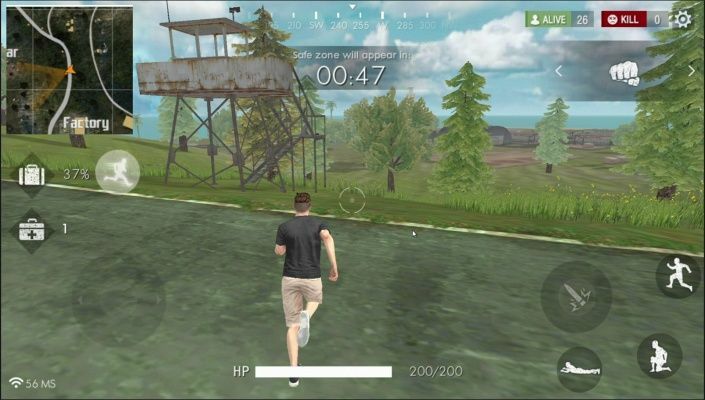 Sea owns Garena, which created the popular Free Fire game. 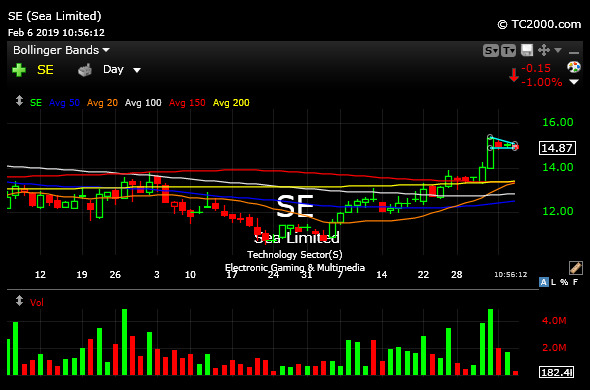 SE has earnings later this month on February 26th. But I am looking to see if it can keep holding up well even as its peers are finding out that the stock market is not always a game.